The consistent growth of e-commerce comes with its challenges to governments and businesses, mainly in terms of trade facilitation, safety and security, society protection, and accurate and efficient collection of duties and taxes. Acknowledging that the exponential growth of e-commerce, in particular new trade patterns including the growth in B2C and C2C transactions, is presenting many challenges to governments and businesses, the World Customs Organization (WCO) adopted the Luxor Resolution in December outlining the guiding principles for cross-border e-commerce. 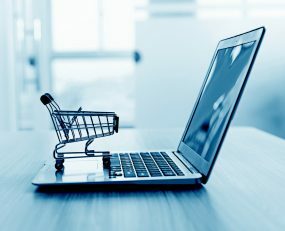 The resolution addresses eight critical aspects of e-commerce, including Advance Electronic Data and Risk Management; Facilitation and Simplification; Safety and Security; Revenue Collection; Measurement and Analysis; Partnerships; Public Awareness, Outreach and Capacity Building; and Legislative Frameworks. It endorses the establishment of simplified clearance procedures for dealing with the increasing volumes of small parcels based on simplified requirements regarding origin, value, and classification, where appropriate. The resolution also encourages the development of partnerships between relevant stakeholders, including Customs, other government agencies, e-vendors and e-platforms, logistics service providers, trade associations, postal operators, express service providers, individual buyers and sellers and other stakeholders. Acknowledging that advanced electronic data and risk management supports trade facilitation, security as well as revenue collection, the resolution also urges the implementation of solutions to facilitate the submission of timely and accurate advance electronic data using, inter alia, relevant WCO instruments and tools. The adoption of the Luxor Resolution should help establish higher standards within cross-border e-commerce. With its issuance, the WCO is taking on a leadership role in creating a framework for managing and harmonising cross-border e-commerce flow processes, which have previously been addressed separately by individual companies and consortiums, but have generally lacked larger organisation. However, while the resolution undoubtedly provides a solid basis for establishing an e-commerce framework of standards and should thereby support further development of cross-border e-commerce, customs administrations and all e-commerce stakeholders will need to embrace the principles laid down in it. The resolution merely endorses and advocates the principles laid down in it, so it will require a wide corporate approval and support to bring about the positive change it proclaims. If this brief has been of interest, you might also like to take part in Ti’s e-commerce Logistics Survey 2018. As a thank you for taking part a donation will be made in your name to the Transaid charity.